The first conception of difference has ordered the thought of the “socially constructed body.” Indeed, wasn’t it the fateful confrontation between Judith Butler and Foucault that largely gave us this body of linguistico-psychic expressivity? But if the classical age discovered the body as object and target of power (DP 136), have we not discovered an ontogenetic body through biocybernetic reproduction, a body whose affectivity opens it to assemblages of matter, information, flesh, sensation through patterns of self-organization and across critical ridges of mutation? That’s my contention. Through this obsessive and meticulous observation of detail (141) was born the being of modern humanism. What is crucial here? The exact relation between obedience and utility: this is the realm–broad, stratified, mutational, repetitive, synaesthetic, and mundane–of habit. How is a more useful body habituated? Through exercise, examination, machinic assembling Foucault tells us. Excerise was the technique by which one imposed on the body tasks both repetitive and different, always graduated, bending behaviour toward a terminal state: “a subjection that has never reached its limit” (161). More, through the regulated distribution of individuals in space: enclosures; partitionings of space (anti-desertion, anti-vagabondage, anti-concentration); and the rule of functional sites (141-43). Equally important, and this needs more elaboration, disciplinary habituations emerge from the confluence of experimentations on the body: out of discipline, a medically useful space was born (144). Distributing individuals in the medically useful spaces of discipline was correlated to strategies of normalization. Rank—the place one occupies in a classification, the interval in a series of intervals; and so cells, places, ranks: disciplines create complex spaces that are architectural, functional, hierarchical (148). Control of activity: time-table (monastic orders): establish rhythms, impose occupations, regulate repetition (149). For centuries, the religious orders were the masters of discipline (150), which the 18th cent. refines by monitoring smaller durations toward a more detailed partitioning of time; by assuring the quality of the time used; by breaking down and correlating gestures and movements, by adjusting the body to temporal imperatives. Thus, an obligatory rhythm is imposed from the outside (and let us keep in mind that the “outside” is one of Foucault’s great concepts, according to Deleuze. We will return to this). The body assembles continuously (not prosthetocally) with technology through the instrumental coding of the body: a breakdown of the total gesture into two series, parts of the body used and parts of the object manipulated (153). Power is articulated directly onto time (160) through ordering the time of individual existences. There is a capitalist and disciplinary accumulation of duration that turns to ever-increased profit or use the movement of passing time: How can one organize profitable durations? The disciplines are a meticulous machinery for adding up and capitalizing time (these strategies first emerge in the military). The aim is to divide duration into successive or parallel segments, ending at a specific time; break time down into separate and adjusted threads; organize the threads of time; finalize threads through specific durations, punctuating them with exams; draw up series of series, and at the end of each series, others begin, branch off, and subdivide in turn (159). Like the ontology of contemporary digital media, disciplinary temporal threads are organized through a “branching-type interactivity” (Lev Manovich, The Language of New Media 38; I return to this connection below). But then Foucault concludes from this that the disciplinary methods reveal a linear time whose moments are integrated, one upon another, and which is orientated towards a terminal, stable point; in short, an “evolutive” time (160). Now this is a quantitative time, and it is molar; but the durations of exercise, their lived intensity in each repetition are always also qualitative, irreducible, continuous, preindividual, proprioceptive. So that evolution in terms of progress might have been the discursive self-representation of the disciplines (Foucault shows as much in his many quotes of self-congratulatory petty bureaucrats), but the exercise-repetition of discipline was based in the time of microdurations in terms of genesis: the narrative of the progress of societies and the habituated geneses of individuals. As a side note we see that this is also why the signal-index displaces the sign-representation. Exercise works through the trigger-command: a given command must focus the attention and trigger off the required behavior and that is enough; it is a power based in signalization: perceiving the index-signal and reacting to it immediately, autonomically, proprioceptively (cf. Charles Sanders Pierce, “What is a Sign?” 7-8). But back to the issue at hand: According to Foucault, the disciplines create four characteristics of individuality: 1. Cellular (play of spatical distribution); 2. organic (coding of activities); 3. Genetic (accumulation of time); 4. Combinatory (composition of forces). The modalities are tables, prescribed movements, exercises, tactics. The chief function of disciplinary power is to train individuals, to link forces together in order to multiply and use them (170-71); individuals are both objects and instruments of disciplinary power. Through the disciplines, and in the panoptic network of gazes, supervision becomes a special function that is also integral to the production process; a specialized personnel for management is born; surveillance becomes a decisive economic operator making the disciplines an integrated system (175-76). Critical theorists, especially those drawing on the thought of Spinoza, Bergson and Deleuze, have defined affect as a body’s capacity to affect and its susceptibility to be affected. Affect is a prelinguistic, preconscious and preindividual capacity, an irreducible and an inexhaustible potential for activation. Drawing on the works of Gilbert Simondon and David Bohm, Brain Massumi addresses the inexhaustible potentiality of affect in terms of the ongoing becoming or individuating of bodily matter, its ongoing ability to inform or to self form: that is, its aliveness (2002). But it is in his treatment of affect in terms of proprioception, interoception and exteroception that Massumi’s employmnent of the works of Simondon and Bohm proposes ways to think the relation of trauma and bodily affect. Defining proprioception as “the sensibility proper to the muscles and ligaments,” Massumi proposes that proprioception “folds tactility into the body, enveloping the skins contact with the external world in a dimension of medium depth: between epidermis and viscera” (58). At this medium depth, proprioception is asubjective and nonobjective. It is a “dimension of the flesh,” that might be “diagrammed as a superposition of vectorial fields composed of multiple points in varying relations of movement and rest, pressure and resistance, each field corresponding to an action” (59). (Clough, “Reflections on Sessions Early in an Analysis: Trauma, Affect and ‘Enactive Witnessing'” 10). So it is this superimposed dimension of affectivity that refunctions the natural body in the disciplines; it is a body mutating through new habituations, shifting its capacities, its very sensorium. This is why the thought of affect and the procedures of discipline must be situated together. So let us pause here. If the two conceptions of the body we are extracting from Foucault correlate with two figures of difference, we might draw specific conclusions. What does Foucault show through this analysis? 1. That despite the relegation of the body to a supplement of the mind in Western metaphysics (Plato, Aristotle, Kant, Hegel, etc. ), the body historically has been an obsession of various forms of power (monastic-pastoral, disciplinary-productive, military-capitalist). The body has been the central modality or instrument for the elaboration of tactics of normalization, control, and distribution. 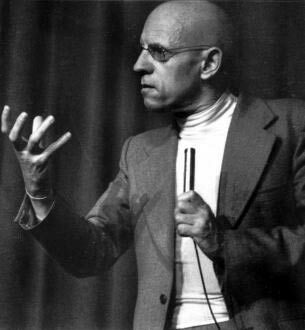 Foucault is actually doing an ontology of becoming, he is diagramming a system of transformation of the human body. 2. That this becoming happens through language, discourse, visibility, and habit. That the body is both the target of discourses of normalization, and an instrument of habituation (but for that very reason also of mutation). Let us trace these two insights further into Panopticism. Panopticism is an abstract machine, the diagram of a mechanism of power reduced to its ideal form: it is a figure of a political technology that may and must be detached from any specific use (205). For instance, Foucault notes that the military camp is constituted through a network of gazes; it forms a diagram of a power that acts by means of general visibility. The aim is to increase the possible utility of individuals; to produce cohesion in a human multiplicity by making useful individuals (210-11). At first, this human multiplicity presents the disciplines with an architectural problem: how to maximize visibility of the observed, while minimizing the observer’s visibility: the perfect eye (172-73). The disciplines as techniques for ordering human multiplicities gradually transform society with a new rationality through the low “cost” of the exercise of power; by bringing the effects of this social power to maximum intensity and extension; by correlating power with the output of a given apparatus (educational, military, industrial, medical). Thus discipline fixes, it arrests or regulates movement; it clears up confusion; it dissipates compact groupings of individuals wandering about the country in unpredictable ways; it establishes distributions to neutralize resistances (219): oppose to the intrinsic, adverse force of multiplicity the technique of the continuous individualizing pyramid (220). 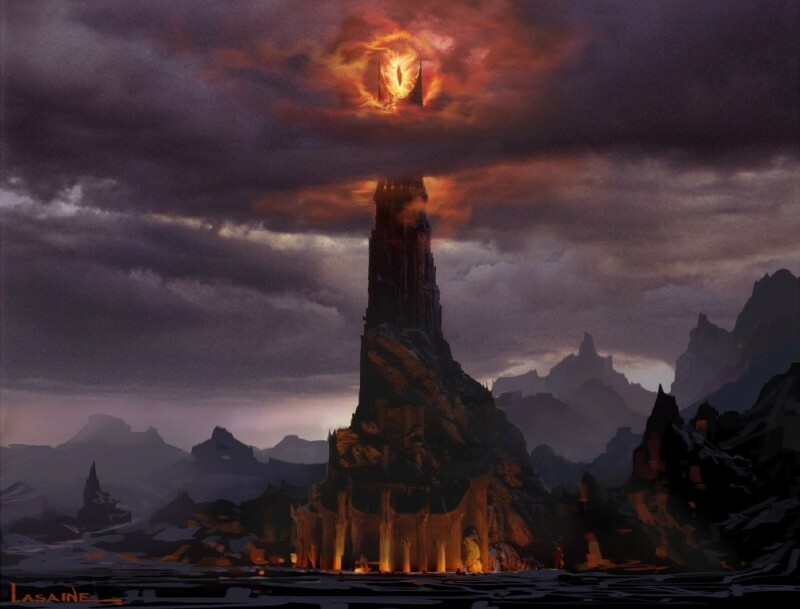 (The “perfect” cinematic representation of this in recent times is Barad-dur and the Eye of Sauron in The Lord of the Rings–well almost: Tolkein makes it clear throughout the trilogy that Sauron at times wants to be seen and worshipped–he is then an image of the pre-disciplinary sovereign–and at other times wants to remain anonymous not unlike the disciplines). The circular architecture of panopticism expresses a political utopia (174) that never dispenses with the pyramid-structure of the norm. Indeed, the disciplinary mechanism secretes a penalty of the norm (183-84). For at the heart of all disciplinary systems functions a small penal mechanism (177). Tied directly to the process of normalization is a whole micro-penalty of time, activity, behavior, speech, body, sexuality (178). Disciplinary punishment must be corrective, and so punishment is accomplished through repetitive, habituated exercise (179). The rule will function as a minimal threshold, as an average to be respected or as an optimum towards which one must move (183); homogeneity and individuality go hand in hand in the society of the norm (184): it individualizes by measuring gaps, determining levels, fix specialties, correlating differences. The norm is a value-giving measure (183): It measures in quantitative terms and hierarchizes in terms of value the abilities, the level, and the nature of the individuals. This value traces out the external frontier of the abnormal. In short it normalizes. Foucault argues that Panopticism, as visible and unverifiable (201), is a power that is less corporal (in terms of violence on the body) and more subtly physical (in operating through the object-instrument of the body, in its organization of space and vision) (177). But is this what Foucault means? If visibility is the great trap of panopticism, if panopticism made it possible to avoid those compact, swarming, howling masses that were to be found in places of confinement (200), and replaced them with a multiplicity that could be numbered and supervised (201), how is it that the major effect of the Panopticon is to induce in the inmate a state of conscious and permanent visibility that assures the automatic functioning of power? (201) My question is aimed at drawing attention to how habit, habituation, affect, bodily capacity, sensation falls out of the picture–literally–as vision becomes thaumaturgical in the perverse shadow play of the inmates cell. Suddenly, exercise, repetition, duration and its catalysis of/in the body are reduced to the conscious state of exhibitionism. The inmates should be caught up in a power situation of which they are themselves the bearers (201). “A real subjection is born mechanically from a fictitious relation” (202). He who is subjected to a field of visibility, and who knows it, assumes responsibility for the constraints of power; he makes them play spontaneously upon himself; he inscribes in himself the power relation in which he simultaneously plays both roles; he becomes the principle of his own subjection (202-03). But this is not only a matter of being conscious of a fictitious relation because the principle of one’s own subjection is in fact the body. Hence, the body comes back: “The discipline of the workshop, while remaining a way of enforcing respect for the regulations and authorities, of preventing thefts or losses, tends to increase aptitudes, speeds, output and therefore profits; it still exerts a moral influence over behavior, but more and more it treats actions in terms of their results, introduces bodies into a machinery, forces into an economy” (210). (We should note that in Foucault’s summary of his own analysis of the disciplines in The History of Sexuality, Vol. 1, it is precisely the body that is foregrounded: “One of these poles [of the power over life]…centered on the body as a machine: its disciplining, the optimization of its capabilities, the extortion of its forces, the parallel increase of its usefulness and its docility, its integration into systems of efficient and economic controls, all this was ensured by the procedures of power that characterized the disciplines: an anatomo-politics of the human body” ). It is this ongoing, meticulous, concrete training of useful forces through bodily durations that enables panopticism to achieve the status of abstract machine, which “may and must be detached from any specific use.” In short, it is the analytical partitioning of time, gestures, and bodily forces that constituted an operational schema that could easily be transferred to other realms of disciplining (219). In short, the body is normed through habit. But habituation is also the site of preindividual (where the subject and population meet–Simondon) mutation. In our next post we will engage with Deleuze’s treatment of Foucault, in which he stresses precisely this mutational interstice in his friend’s thought. It is to mutation we must turn next. In this sense, Foucault can say, or at least he does so once in a crucial passage of Discipline and Punish, that a “diagram” expresses a relation of force or power: “a functioning abstracted from any obstacle, resistance, or friction…and which should be detached from any specific use.” For example, a disciplinary diagram that defines modern societies. But other diagrams act on societies with other stratifications…One of the more original aspects of the diagram is its being a place of mutations. The diagram is not exactly outside the strata, but it is the outside of the strata. It is between two strata as the place of mutations which enables the passage from one stratum to the other. (G. Deleuze, “Foucault’s Main Concepts” 251). Coming back to Foucault, we can see from his lectures on Biopolitics that a method takes shape incorporating these two conceptions of difference in a logic of strategy. “For what is dialectical logic? Dialectical logic puts to work contradictory terms within the homogeneous. I suggest replacing this dialectical logic with what I would call a strategic logic. A logic of strategy does not stress contradictory terms within a homogeneity that promises their resolution in a unity. The function of strategic logic is to establish the possible connections between disparate terms which remain disparate. The logic of strategy is the logic of connections between the heterogeneous and not the logic of the homogenization of the contradictory. So let’s reject the logic of the dialectic and try to see-this is what I will try to show in these lectures-the connections which succeeded in holding together and conjoining the fundamental axiomatic of the rights of man and the utilitarian calculus of the independence of the governed” (Birth of Biopolitics 42-43). Excellent blog! Keep it up!